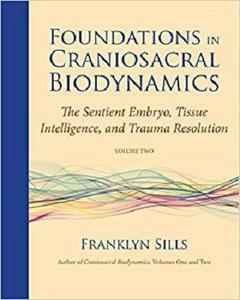 Foundations in Craniosacral Biodynamics presents a comprehensive grounding in the clinical skills needed in a biodynamic approach to craniosacral therapy. Author Franklyn Sills places particular emphasis on developing what he terms "perceptual skills," diagnostic skills that enable the practitioner to perceive the subtle sensations and intuitive insights that are the groundwork of most forms of holistic somatic therapy. The biodynamic approach has its origins in the clinical exploration of W. G. Sutherland, DO, (1873-1954), the founder of osteopathy in the cranial field and "forefather of craniosacral therapy." In the last ten years of his life, his work changed from a biomechanical approach to a fully holistic orientation toward the ordering and enlivening forces present in the human system. Sutherland described his experiences of a mysterious presence, the "Breath of Life," from which ordering forces and healing intentions arose. His work then shifted from biomechanics to biodynamics; from analysis and motion-testing to an appreciation of the unfolding of the "inherent treatment plan." Sutherland encouraged practitioners to use no outside force whatsoever, but to allow the inherent ordering forces, which he called "potency," to make the decisions and do the work. Franklyn Sills pioneered the biodynamic approach to craniosacral therapy outside the osteopathic profession. This approach has now spread around the world in various forms. Sills wrote the early books in this field, and this new book now brings the text up to date. 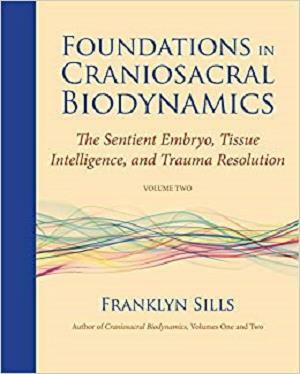 Foundations in Craniosacral Therapy, Volume Two expands on the work described in the previous volume, starting with an overview of a biodynamic approach to craniosacral therapy, which emphasizes the suspensory nature of the human system. Here we review and deepen our understanding of the "three bodies"—the physical, fluid, and tidal bodies. We also review and expand upon the suspensory nature of the holistic shift—the physical body suspended in the fluid body, in turn suspended in the tidal body—within the context of the inherent treatment plan. The following chapters of the book orient to our earliest life experiences—the embryonic period and the pre- and perinatal experience—with chapters devoted to birth, birth dynamics, and craniosacral approaches oriented both to birth trauma and to the tissue patterns it generates. Here we orient to the prenate and birthing infant as a sentient being having and responding to life experience. Further chapters orient to the primal/notochord midline and the tissue structures that form around it. We explore the dynamics of the pelvis, vertebral axis, cranial base, face and hard palate. Volume Two finishes with four important chapters on the neurophysiology of stress and trauma and related craniosacral and verbal skills. All chapters include appropriate biodynamic approaches to traumatization and CNS activation.